Hola Friends, Amigos! 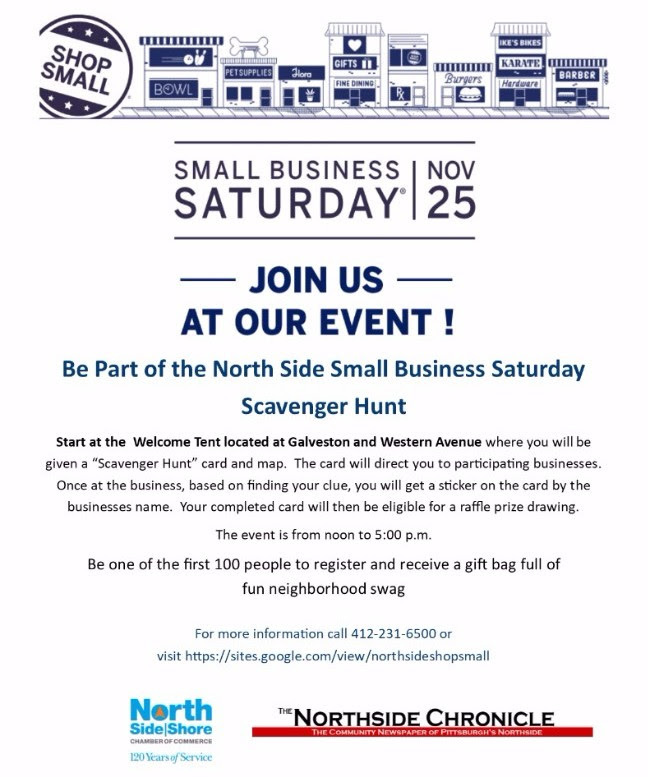 Tomorrow you can find me celebrating #SmallBusinessSaturday with the North Side/North Shore Chamber of Commerce at the corner of Western and Galveston Avenues, where you can take part in a fun scavenger hunt and be entered to win some swell swag (see info below)! 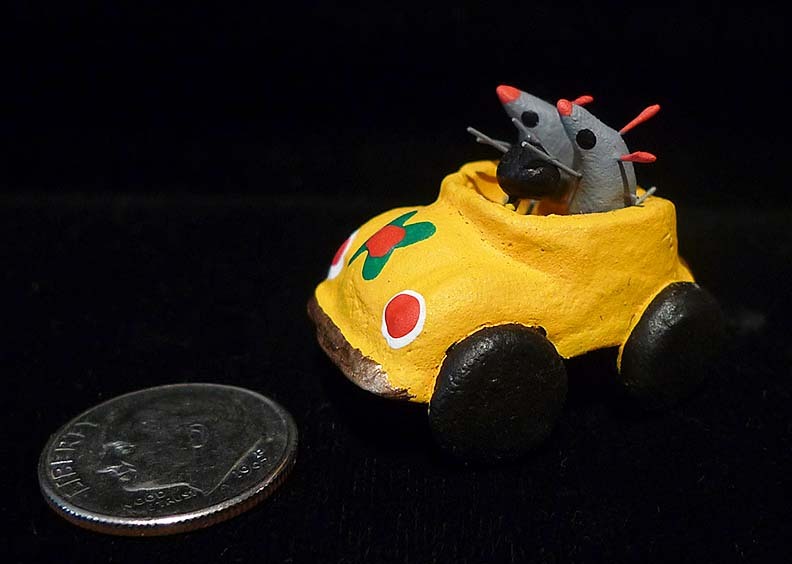 In the spirit of the occasion, I will only be bringing miniature things, and many of you who collect them know that this includes the much beloved mice engaged in shenanigans, and bobble heads, perfect stocking stuffers. Other Big Things are in the works, as well. But if I told you now what they are, that would ruin the surprise. So just take my word for it: something’s coming. This entry was posted in Pittsburgh Happenings, This and That.